Oh haaaay. 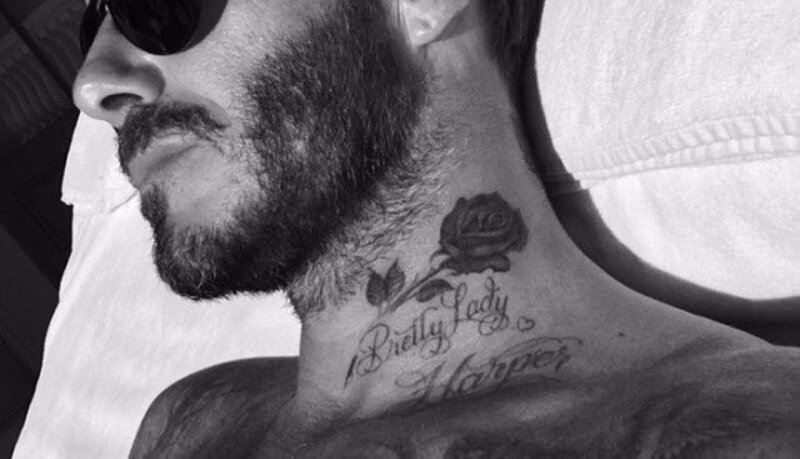 David Beckham inked a horse on the side of his neck. 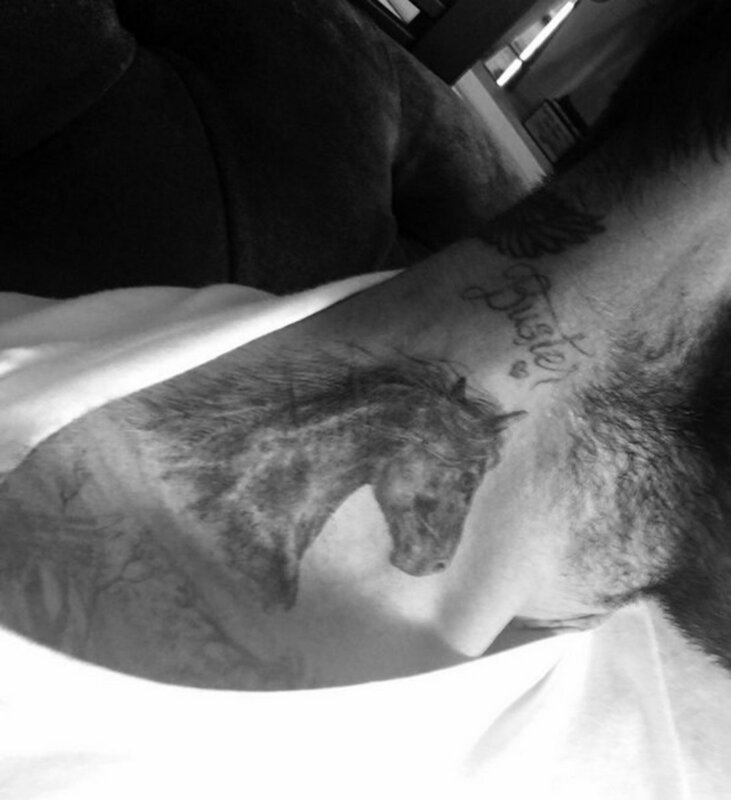 We stopped being surprised about new Beckham tattoos somewhere around number 37, but when we caught a glimpse of the football legend’s latest ink, we couldn’t help but wonder what inspired him to get a tattoo of a horse head on his neck. 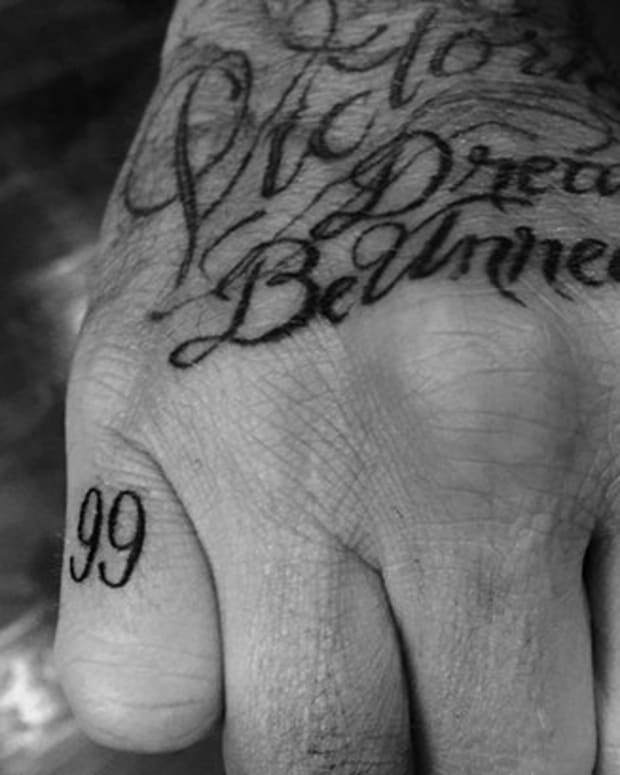 For the most part, David Beckham’s tattoos are dedicated to his loved ones – his wife, Victoria, his sons, Brooklyn, Romeo and Cruz, and his beloved daughter, Harper – and this latest piece may be no exception. It was while David and his family were headed to dinner at Nobu in Malibu last weekend, that the 41-year-old revealed the new tattoo, featuring an image of a horse’s head on the right side of his neck, just below the “Buster” tattoo he got last August for his eldest son, Brooklyn. When David debuted his “Buster” tat on Instagram, he captioned the image: “I’ve always called Brooklyn (Buster) since the day he was born…Love you, Bust.” David also rocks a “Harper” tattoo on the left side of his neck, along with the phrase “Pretty Lady” inked above it. 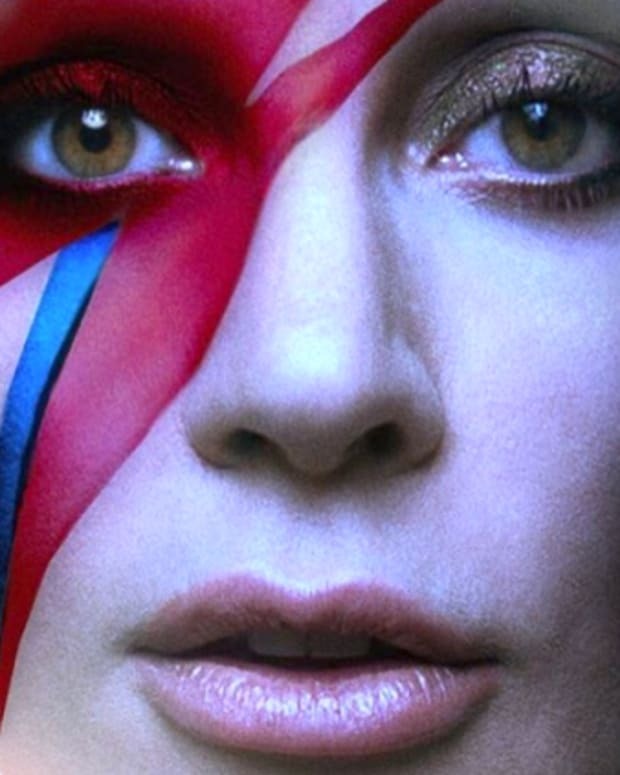 Shortly after getting the “Pretty Lady” tattoo on his neck for Harper, he added a large rose tat just above the phrase, so when we first saw the new horse tattoo on David’s neck, we immediately assumed it was an addition to his “Buster” tattoo. 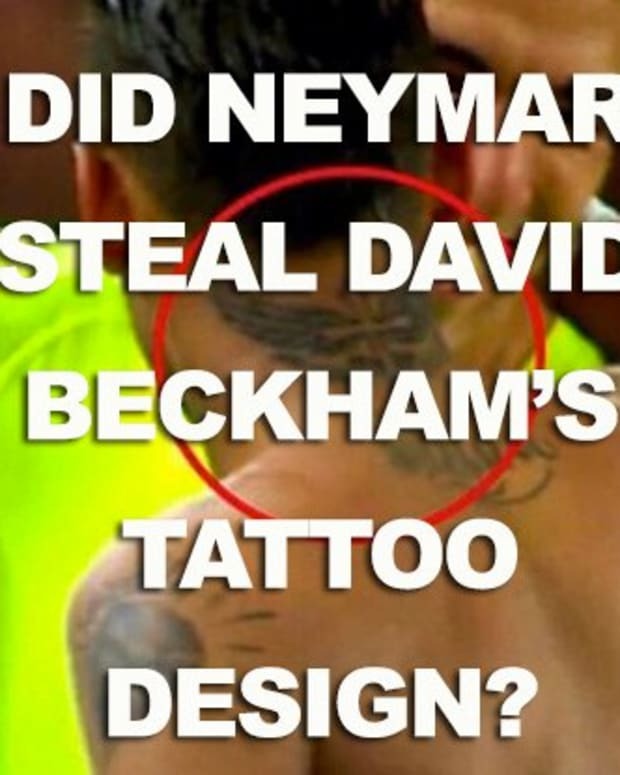 David Beckham’s horse ink was done by the infamous Mark Mahoney of Shamrock Social Club in Hollywood, California, and Victoria is the one who officially debuted the tattoo online, posting an image of the ink on her Instagram account on August 21. Whatever the meaning behind David Beckham’s new tattoo, it’s obvious the 41-year-old intends to continue covering his body in ink. 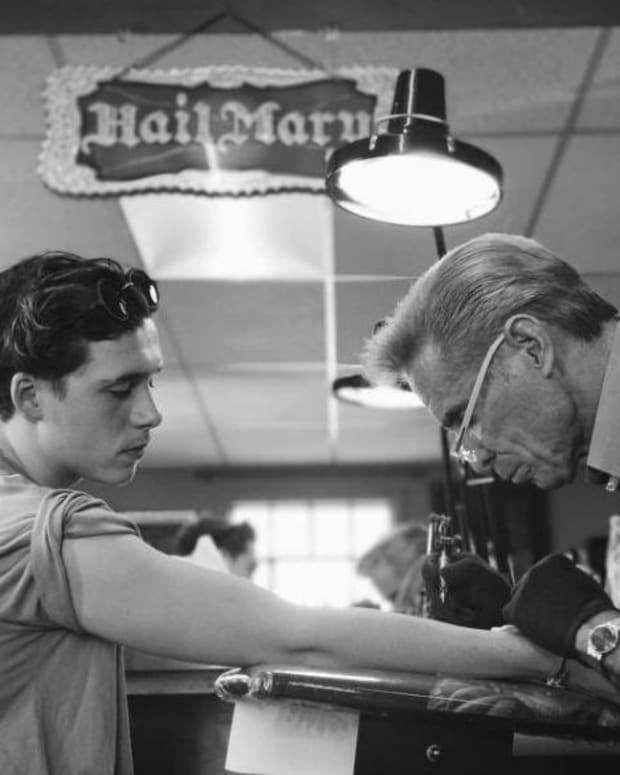 In the meantime, Victoria Beckham appears to be systematically removing her tattoos, and has been spotted recently with some seriously faded ink. 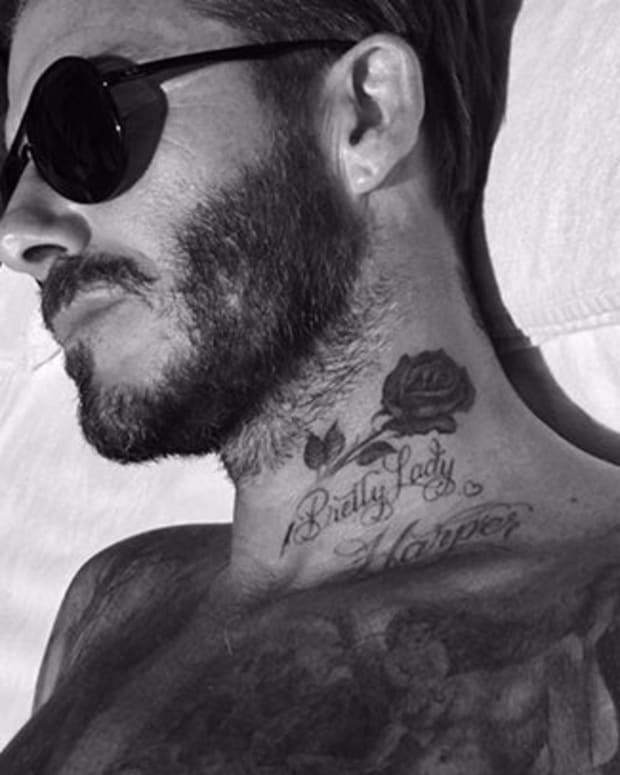 See more of David Beckham&apos;s Tattoos Here. Is Victoria Beckham Removing Her Tattoos?